Discussion in 'Moto / Utility Jackets' started by Akang ed, Sep 14, 2018. I just pick this today, sorry to keep asking this kind of questions. 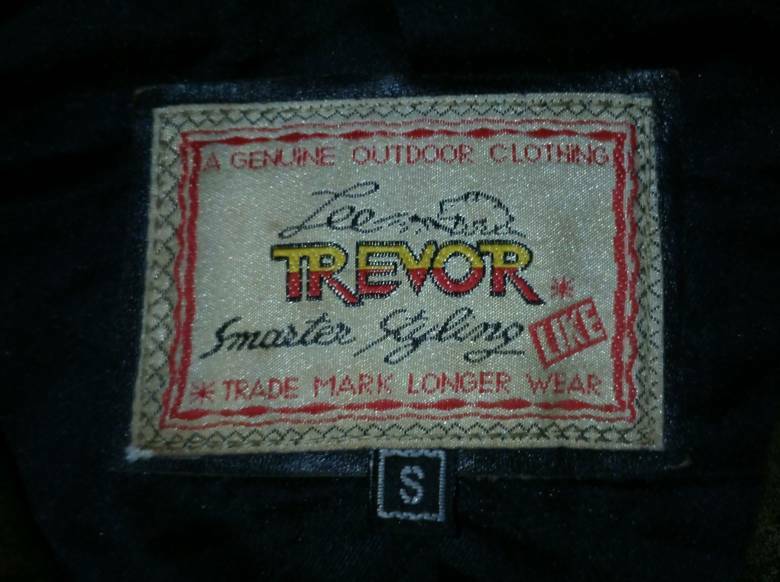 Can anyone educate me on this lee trevor motorcycle jacket (yes I have browsing some info, maybe someone can tell more). Oya, I thing the jacket have the wrong main zipper, it's not iron zipper but replaced with ykk plastic one, to bad it's not 100% original. I remember that label in clothing from Johnson’s in Kensington Market back in the 1980’s and early 1990’s. 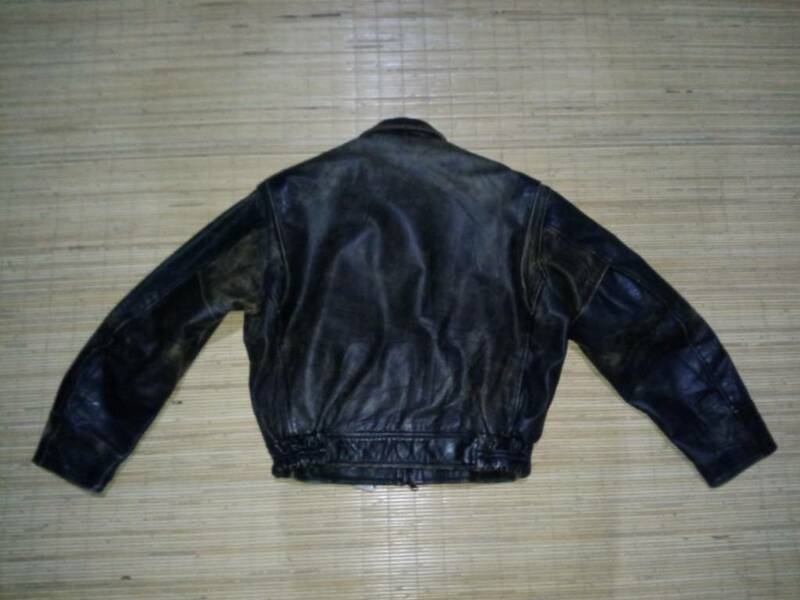 Ken @ Aero Leather might be able to give you a bit more info. Was gonna say, appears to be a standard mall jacket from the 80s. I think I saw Jerry Seinfeld wear on on his show. What is the boundaries for mall and non mall jacket? Lee Trevor started in France around the same time as Aero was founded doing much the same thing as us but usually adding a modern touch to most styles something we tried very hard to avoid. 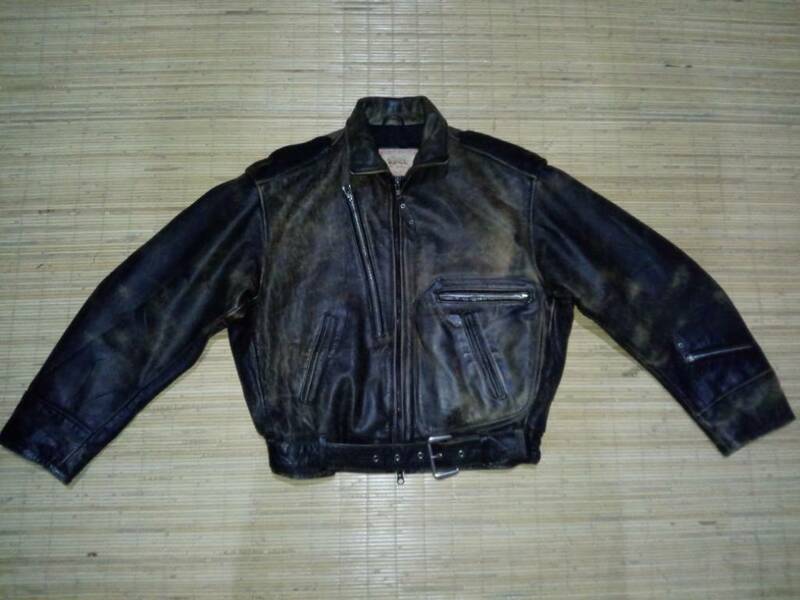 Their leather repros of the Wrangler Bluebell jackets were superb, I always felt their choice of modern linings and iffy looking zippers, and the very exposed way these were fitted, let their civvy/moto jackets down....yes I can see the zipper above is a repro. Don't know what went wrong, maybe Aero's acquisition of Horsehide and Talon zippers in 1986 made all the difference? Not sure there are really boundaries on a mall jacket. They just have a certain look. Typically, mass production is obvious with cut leather edges on details(straps, pulls, etc. 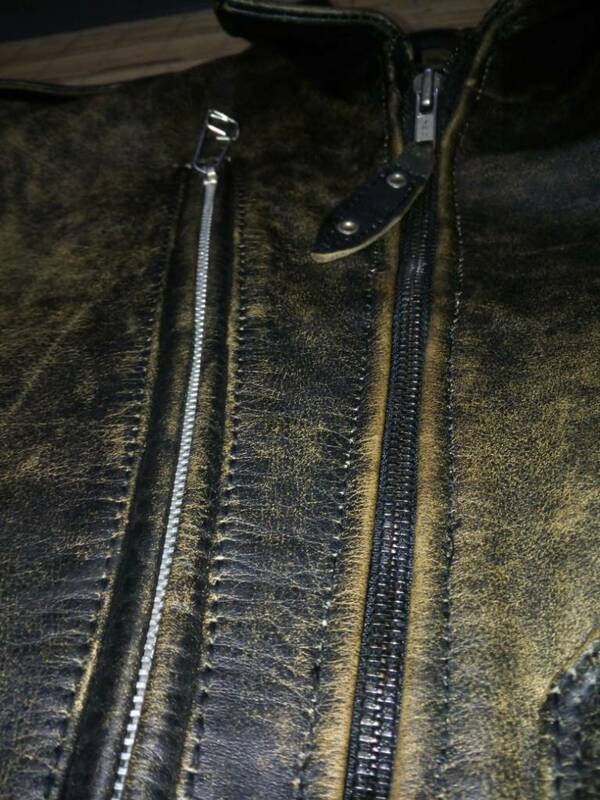 ), “antiqued” rivets and zips, and synthetic thread and zipper tapes all hinting to a later construction. Overall construction and material quality is lower. On a rack they all look identical except for size and they follow trends and will unlikely be available the next year or two. One thing that seams consistent is, as Ken eluded to, an older design modified with additional pockets or flaps and/or most often a looser, even baggy or tapered fit and often an inner elastic waist band. Other obvious “textbook” giveaways would be additions such as repro patches, faux aging and wear, “painting”, or a printed liner that point to history rather than having actually survived any history. Vintage jackets often had interesting features such as straps, belts, angled entry pockets, pistol pockets, or pen pockets. These were born of necessity(as in paratrooper jackets and smocks). Add too many in one design and it screams “trendy”. This still happens when we adorn our quality repros with every patch, paint job, period good luck charm. Too many and it screams trying too hard. No offense intended. IMO, this jacket has many of the former features. Often great for daily wear but always miss in the class dept due to the sharp departure from classic designs. I have a black leather barn jacket style that looks good at weddings, concerts, and with dress shoes and a tie but is definitely a newer style. The true classic jackets often look too casual at such events as most are associated with a functional, working class style.